The cosy breakfast room is the perfekt frame for a positive start into a successful new day. 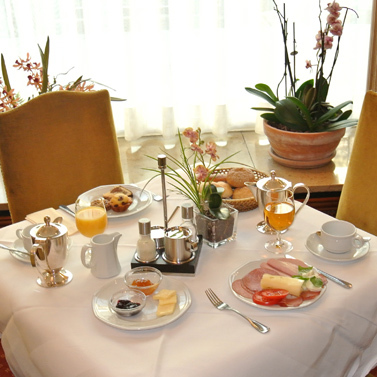 Your table is layed and the buffet expects you with fruit juices, cerials, Bavarian bread and rolls, fine meat, sausages, ham, eggs, ... and fragrant fruits. Enjoy your breakfast!